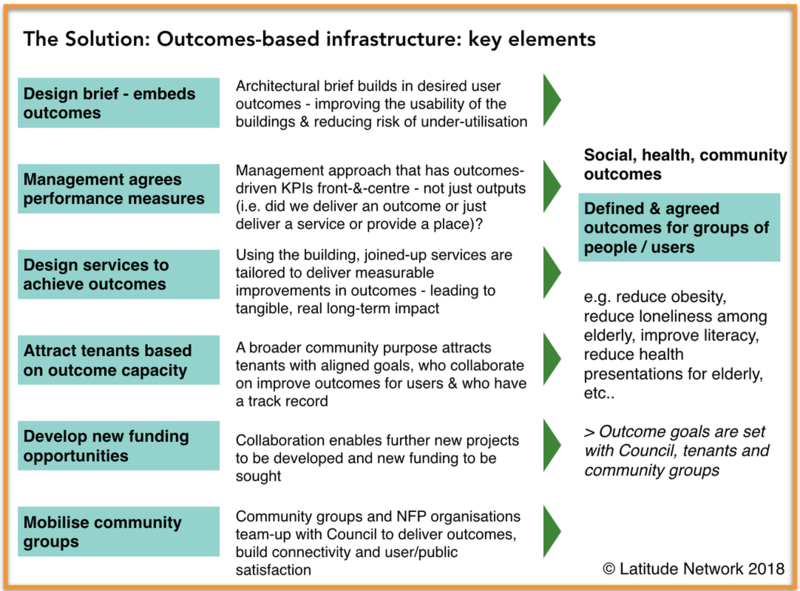 ​By integrating social and health outcomes goals and systems into infrastructure projects, infrastructure owners can leverage buildings and assets for greater community benefit. Local Governments across Australia currently spend in excess of $1 billion each year on infrastructure. While this infrastructure is generally well-built, it is seldom designed and held accountable to address social and health problems in the community.